Arabella is a stunning 157 foot mega yacht. 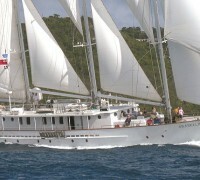 She features three masts with a staysail schooner rigging. 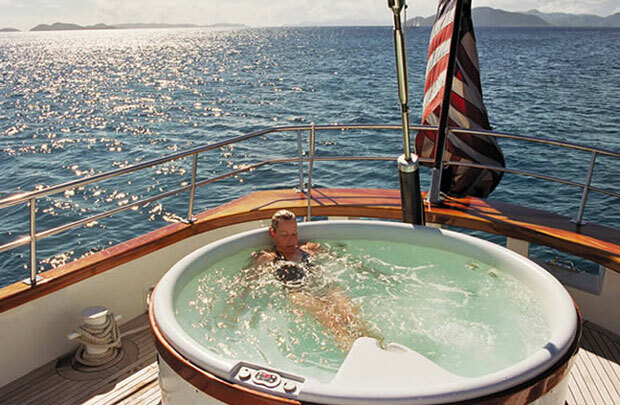 She has teak decks, a Jacuzzi, cushioned sun deck as well as a covered aft veranda. Her main salon is spacious and can offer a seated dinner for up to 48 guests. The salon also features a beautiful varnished mahogany bar as well as a buffet station. 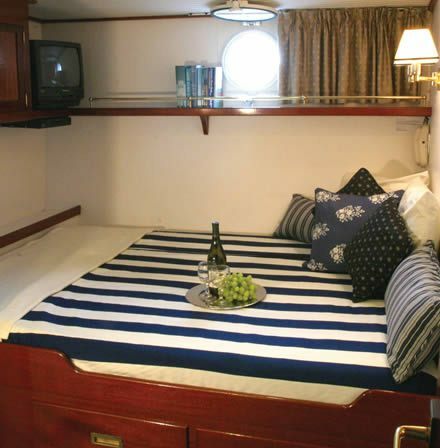 Below decks, Arabella has 20 staterooms and can provide overnight accommodation for up to 40 guests. 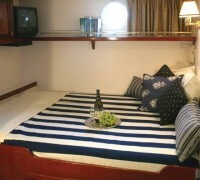 Most staterooms have queen or double beds and some offer over/under single bunks. Each bedroom has its own shower, head and individual climate control. 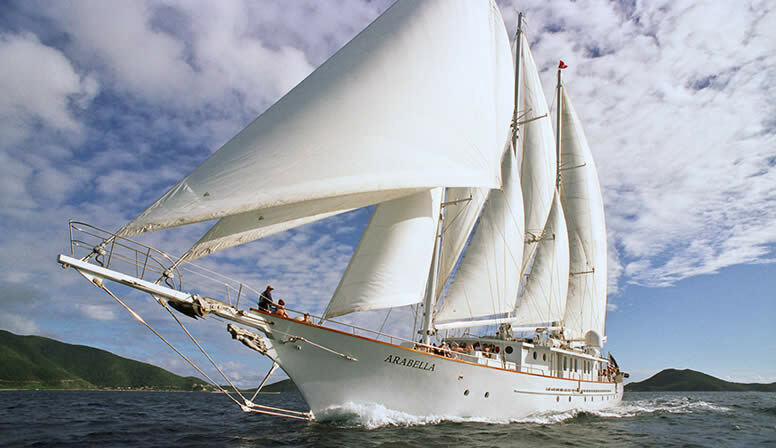 Arabella combines the classic windjammer sailing experience with the luxury of a mega yacht. In the main salon, Arabella offers dinner seating for up to 48 guests. 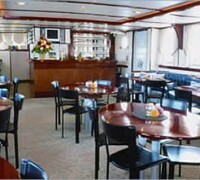 There is a beautiful mahogany varnished bar as well as a buffet area for breakfast and lunch. For sleeping, Arabella offers 20 well-appointed private staterooms. Each stateroom is outfitted with a private shower, head and individual climate control. Rooms vary in size, starting with the sumptuous A Line with a queen bed and progressing to the D Line which has smaller accommodations but offers an excellent value. 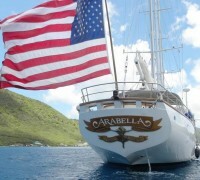 For the past decade, Arabella has been a famous yacht on the East Coast during the summer and in the Caribbean in winter. 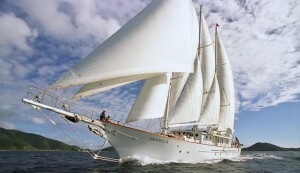 She has hosted thousands of guests, providing unmatched sailing experiences and lots of memories. 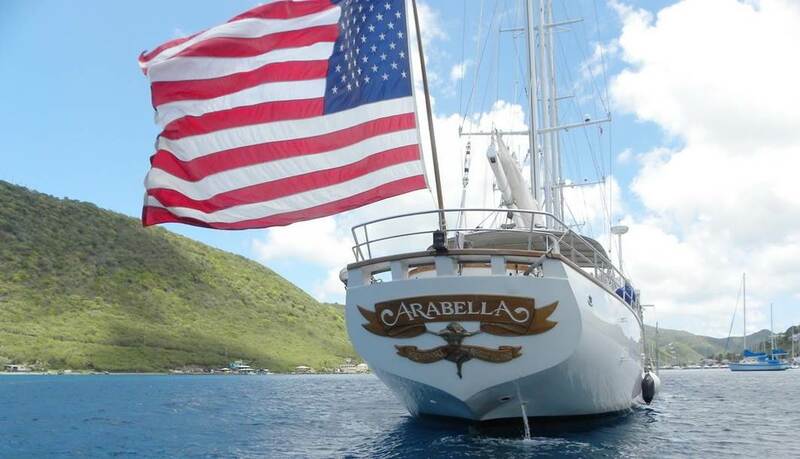 Arabella is available for a NYC yacht charter.